Raven Bower, What Are Some of Your Favorite Pieces of Fantasy Fiction? 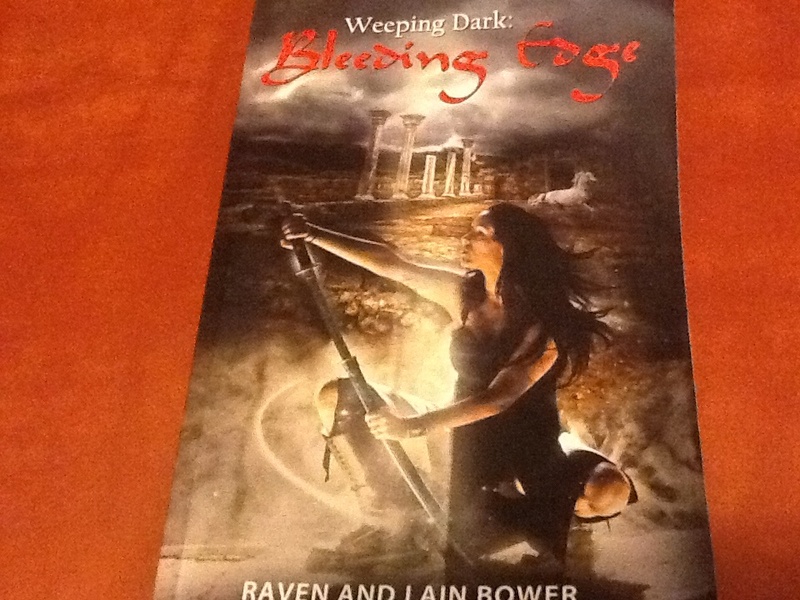 I haven’t put together my own list of favorite fantasy books, but if I did, WEEPING DARK: BLEEDING EDGE by Raven and Lain Bower would be on it. I loved that book and will be among the first to return to its rich world of magic and adventure (reviewed here: https://horrordelve.com/2013/09/02/review-of-weeping-dark-bleeding-edge-by-raven-and-lain-bower/) when the next book comes out. I also enjoyed their fantasy novella, NYMPH’S LAIR (reviewed here: https://horrordelve.com/2014/02/01/nymphs-lair-by-raven-and-lain-bower/). Suffice it to say, Raven Bower knows how to produce her own magnificent fantasy tales, so I wanted to find out what were some of her favorites to read. Raven, What are some of your favorite pieces of fantasy fiction? Raven: I have many favorites and they tend to change almost daily, depending on the mood and which story resonates with the day. Fantasy is one of my favorite genres – a never-ending adventure that encompasses works in original worlds and works set in our own world, in our own time. That’s one of the many appeals of the genre – it’s so vast that it’s impossible to exhaust. This is a brilliant piece of fantasy fiction set in modern times. Truly, this series is a flight of fantastic fantasy with the pace of a thriller and creep of horror. Rollins and Cantrell’s handling of world building is nothing short of stunning. They take an old-time favorite monster, vampires, and put an entirely new twist on them that leaves the reader wondering…what if…? Oh goodness. Butcher’s pacing is simply phenomenal in this series. He has an innate talent to draw the reader into a world that’s rich and colorful while at the same time keeping everything active, imaginative, adventurous. No static descriptions for this fellow, nope. Love his characters and their quirks. His take on magic is very interesting and integral to the world and plot. I’ve never met a Feist book that wasn’t fantastic, so I couldn’t choose any singular series over the others. *Spins the bookshelves* Pick your poison – Riftwar Saga, Conclave of Shadows, Chaoswar Saga, War of the Five Crowns and any other book with the name Raymond Feist on it and it’s certain to be entertaining, filled with lovely, deft world building, characters that exude life from their inky pores, plots that tangle, twist and mangle. Really wish Sutter would write more fiction. Not that his gaming content is anything less than excellent, he’s just also a talented fiction writer and I’d love to see more stories from him. Death’s Heretic is rife with mystery and packed with many subtle questions that leave the reader pondering well after the end. Gritty, real world building and conflicted characters make for an exciting story. The Weeping Dark epic fantasy, which includes Bleeding Edge. PreviousDavid T Wilbanks, What Are Some of Your Favorite Pieces of Fantasy Fiction?